Home Android Information Technology Tech News How Many Galaxy Note 8 Will Be Sold Before The End Of The Year? How Many Galaxy Note 8 Will Be Sold Before The End Of The Year? Salam Friends! Previously, we posted Samsung Unveils Updated Version Of Gear S3 For Golf Fans [News]. Now we are going to post regarding Samsung Galaxy Note 8 Will Be Sold Before The End Of The Year? And Join our Email Updates to get latest updates in your Inbox and also follow us on Social Networks. Samsung Galaxy Note 8 was not only one of the most productive and innovative smartphones this year but also one of the most popular devices on the market. 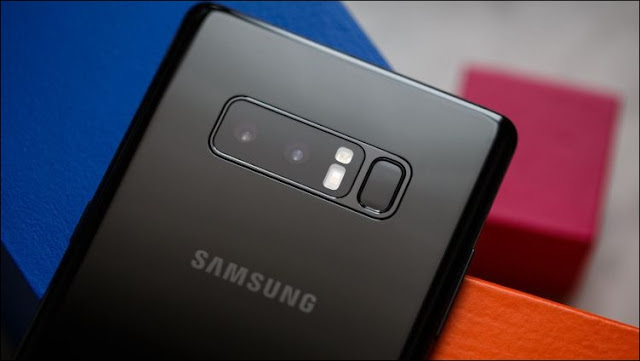 Already, its sales figures are such that analysts can make a prediction that will please all the many connoisseurs of Samsung and its products. Flagman's 2017 flagship from the leader of the Smartphone market of the company "Samsung Galaxy Note 8" not only enjoyed high popularity at the pre-order stage but continues to amaze with considerable demand for it and a few weeks after its debut in the market. According to industry data, referenced by Yordan on the pages of the resource GsmArena, the version of the phablet with a 64GB built-in drive was during the second week of October 2017 the best-selling phone in South Korea. Its share was 28.3%. If you add here the sales figures of the version with a 256GB built-in drive, then the share of the novelty would be even higher. According to ATLAS Research & Consulting, after initially 850 thousand Galaxy Note 8 was pre-ordered, Samsung continued to sell from 20 thousand to 30 thousand of these smartphones per day during the fourth week of September this year. Must Read: How to Easily Start Bitcoin Mining With No Expertise! | Computta - Smart Cryptocurrency Mining PC Application? In October 2017, sales figures for Galaxy Note 8 are at the level of 10 thousand - 20 thousand smartphones per day, and industry insiders note that these figures are similar to those that were in the first half of the year are typical for sales of the Galaxy S8 after its release. Industry analysts at Strategy Analytics believe that at such an impressive pace, Samsung can easily sell 10 million Galaxy Note 8 before the end of 2017. After all, in this smartphone, the powerful characteristics of "iron" are combined with the two most relevant trends of the industry. In the design of the device in question, both a dual camera and a "frameless" display are of a quality that users expect from modern smartphones, especially when it comes to flagships. Of course, another factor is important - smartphones from Samsung are the most popular Android devices. The 6.3-inch Super AMOLED display Galaxy Note 8 occupies approximately 83.2% of the surface of the device case. Its resolution is 1440 x 2960 pixels, which corresponds to an image density of approximately 521 pixels per inch. The screen of the smartphone is protected by Corning Gorilla Glass 5. It is characterized by an aspect ratio of 18.5: 9. Specifically, the screen features of the 2017 Fiblet are the main distinctive quality of the novelty design in comparison with the previous models. We value your feedback, so if you have something to share then leave your important comment below. If you are enjoying our posts, please leave us a rating and a review on our facebook page.